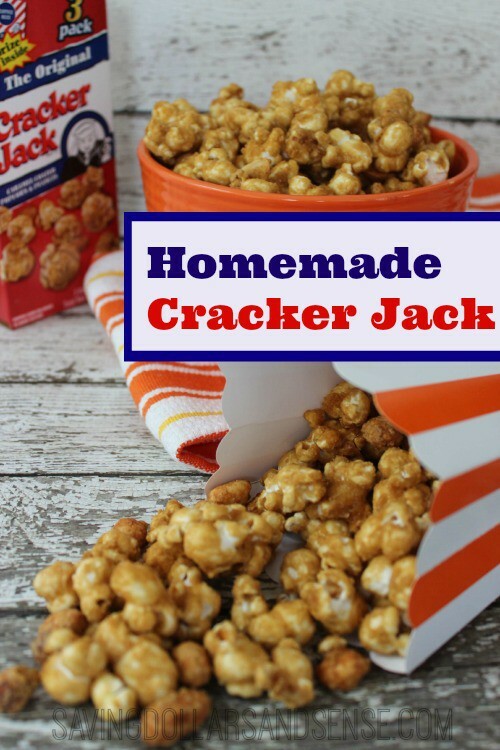 This Homemade Cracker Jack Recipe is the perfect treat to take to parades, fireworks, barbecues, or the beach! Spray a large bowl with cooking spray add popcorn. 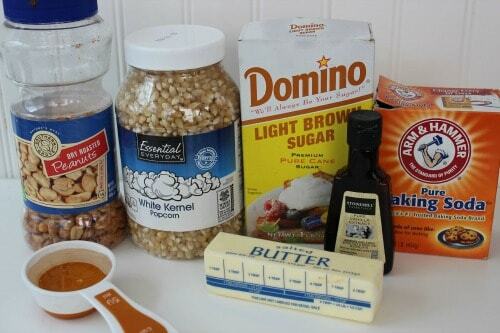 Combine brown sugar, corn syrup, butter, salt and water in a pan. 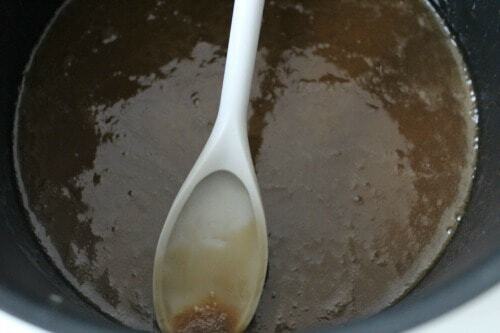 Simmer over medium-high heat stirring frequently until temperature reaches 250 (firm to hard ball stage). Remove from heat, stir in the vanilla and baking soda. 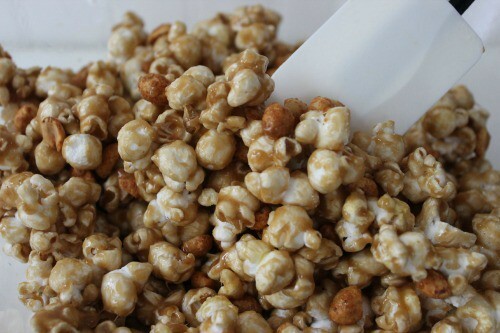 Pour over the popcorn and use spatula to gently fold the caramel into the popcorn until well coated. Pour the mixture onto prepared baking sheet and spread out. Remove from the oven, and allow to cool. Carefully break up and store in an airtight container. 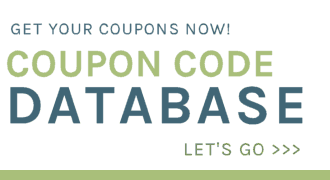 You can find more recipes on our Recipe Page. Do you know if you could sub Smart Balance or some other dairy free “butter” for the real butter? I have grandchildren who need dairy free. Thanks.